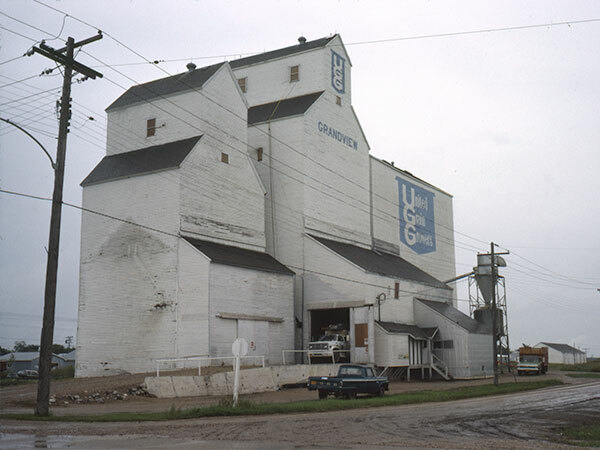 A wooden grain elevator in Grandview, on the CNR Togo Subdivision in what is now the Municipality of Grandview, was built in the early 20th century by United Grain Growers. 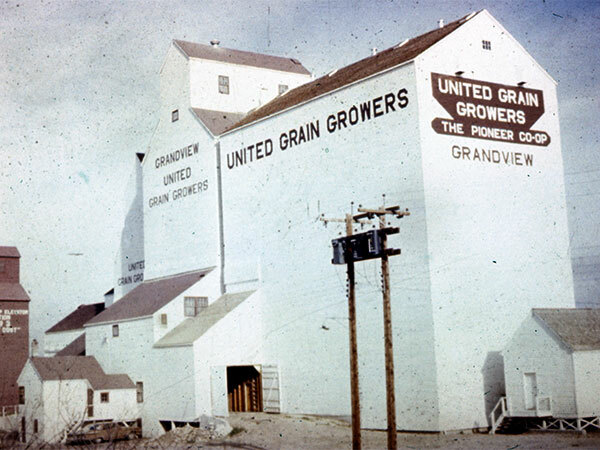 A temporary annex built beside it during the Second World War, later expanded in capacity to 60,000 bushels, was used for nearly 40 years. 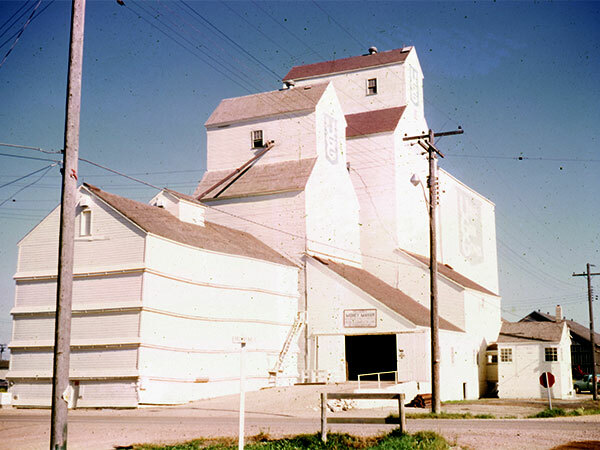 In 1953, a new 70,000-bushel elevator was built beside the older elevator, replacing a flour shed and coal bins at the site. 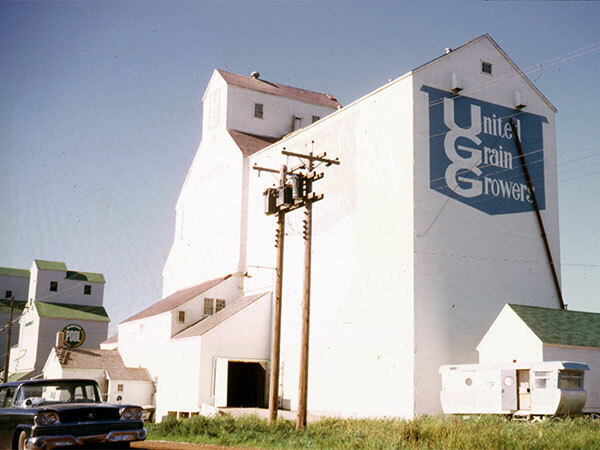 A 125,000-bushel cribbed annex was built beside the new elevator in 1961 and, ten years later, the older elevator was repaired and converted to an annex. The wartime annex was demolished in 1981 and later the old elevator-annex. The remaining structure closed on 1 July 2000 and was demolished in late November 2000. 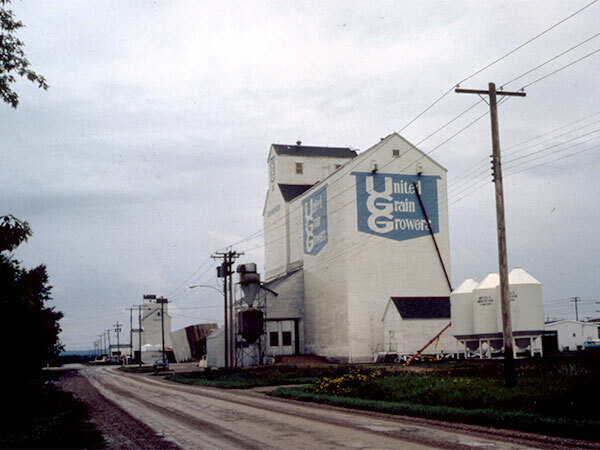 “UGG elevator to close July 1st,” Grandview Exponent, 9 November 1999, page 1. “UGG elevator comes tumbling down,” Grandview Exponent, 28 November 2000, page 1. We thank Shelagh Poolie (Viterra Inc.) for providing additional information used here.